When: February 9, 2016 – 7:00 to 8:30 p.m.
Our speaker will be Louis Lester, a professional electrical engineer at OPPD with almost 30 years of experience in the utility field, including in nuclear, distribution and transmission, design, construction, maintenance and planning. 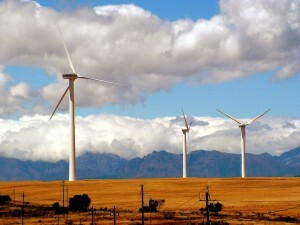 He has also been evaluating new technologies such as batteries and renewables for several years. He will discuss battery storage technology and how it can impact the energy usage of individuals, companies and utilities in the future. A Q&A session will follow. 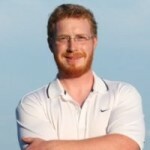 Click here for additional details, including the specific topics his presentation will cover. 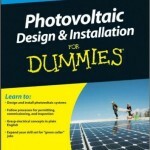 FREE DRAWING: Attendees will have the opportunity to enter a free drawing for 1 of 5 copies of Ryan Mayfield’s book, Photovoltaic Design & Installation For Dummies, the second-bestselling book on solar energy for do-it-yourselfers on Amazon. The #1 bestseller is the Solar Electricity Handbook, by Michael Boxwell, copies of which we’ve previously given away, including two to the W. Dale Clark Library, Omaha’s Main Library. (Nebraskans for Solar board members are not eligible for the drawing). Reserved parking is available for our events in the lot just to the north of the Community Engagement Center, near the Durham Bell Tower. Refreshments will be served. Please join us and bring a friend! Financing Solar+Storage with Federal Tax Credits, February 3, 2016, 12 to 1 p.m. Click here for details. SEIA Residential Consumer Guide to Solar Power: An Overview on PV Systems, Options for Going Solar, February 9, 2016, 12 to 1 p.m. Click here for more information. This entry was posted in Nebraska / Midwest News, NewsBlog, Solar Energy Education on January 31, 2016 by Helen Deffenbacher. As a cornerstone of the President’s Climate Action Plan, the Better Buildings Initiative is aimed at achieving the goal of doubling American energy productivity by 2030 while motivating corporate and public-sector leaders across the country to save energy through voluntary commitments. This means saving hundreds of billions of dollars on energy bills, reducing GHG emissions, and creating thousands of jobs. Through Better Buildings, public and private sector organizations across the country are working together to share and replicate positive gains in energy efficiency. Yesterday the White House announced that 24 more cities, states, and businesses have committed to join the President’s Better Buildings Challenge to improve the energy efficiency of their buildings 20 Percent by 2020. These 24 new partners represent 38 million square feet of building space, and 11 plants and facilities. 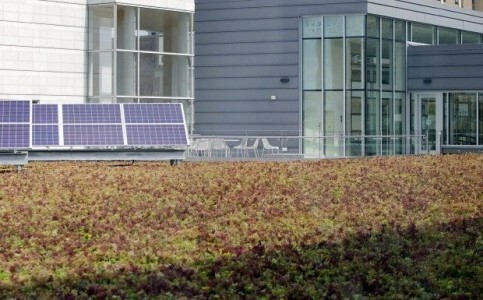 Since its launch in 2011 more than 285 organizations have made the commitment to partner with the Energy Department to achieve 20 percent portfolio-wide energy savings across a total of 4 billion square feet of building space, and share successful strategies that maximize efficiency over the next decade. The new partners and their commitments include the University of Nebraska Medical Center (UNMC) – 6.5 million square feet. This entry was posted in Energy Conservation, Green Campuses, Nebraska / Midwest News, NewsBlog and tagged energy efficiency & GHG reduction, energy savings through energy efficiency measures, jobs in energy efficiency, President Obama's Better Buildings Challenge, The Obama Administration's Climate Action Plan, U.S. Department of Energy, University of Nebraska Medical Center (UNMC) on January 30, 2016 by Helen Deffenbacher. “Program participants will gain exposure and experience in a new career field while helping to increase the city’s generation of renewable energy and decrease the city’s carbon footprint,” Robert Philips, City Engineer, said in a statement. This entry was posted in Nebraska / Midwest News, NewsBlog and tagged Madison.Com, Madison's solar energy generation, Nebraskans for Solar, pilot solar training program, solar training model for Nebraska on January 28, 2016 by Helen Deffenbacher. 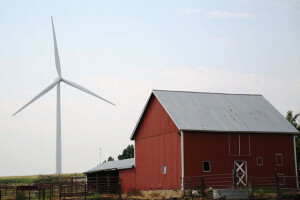 A negotiated proposal to spur private development of wind energy in Nebraska was presented to the Legislature’s Natural Resources Committee on Wednesday with the Nebraska Public Power District on board. The measure will be amended by Sen. John McCollister of Omaha to meet concerns expressed by NPPD that protect its power transmission authority and interests. 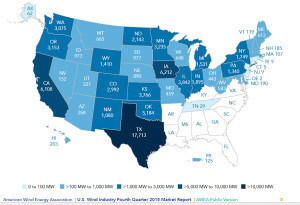 Iowa moves up to second in electricity created by wind power, by Dar Danielson, Radio Iowa. 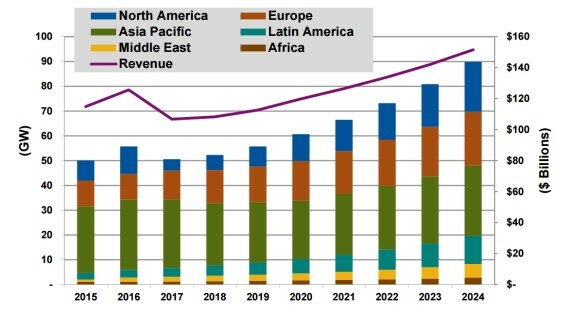 Click image to link to the article. This entry was posted in Nebraska / Midwest News, NewsBlog and tagged LB824, Lincoln Journal Star, private development of renewable energy in Nebraska, Senator John McCollister on January 27, 2016 by Helen Deffenbacher. 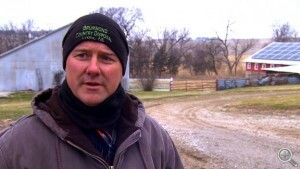 This entry was posted in Nebraska / Midwest News, NewsBlog and tagged farm energy, farms & green energy, Grant Gerlock, Harvest Public Media, Rocky Mountain PBS News on January 27, 2016 by Helen Deffenbacher. 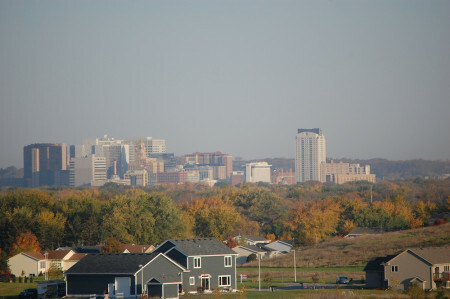 Local officials have plans to make the $6 billion Destination Medical Center in Rochester, Minnesota net zero. A brief meeting with actor Robert Redford in Utah a few years ago influenced Rochester, Minnesota’s mayor to move the city of nearly 100,000 residents to become energy net zero by 2031. “It will be a challenge,” said Mayor Ardell F. Brede, but he believes a target is necessary as the city moves toward greener sources of energy generation. The Destination Medical Center is the first focused effort by the city and if that goes well, the concept of sustainability can move beyond the downtown core and into the neighborhoods. SAVE THE DATE! On March 1st Nebraskans for Solar will host a panel presentation, “The Zero Energy House – Key Features, Benefits & Value.” Click here for details. This entry was posted in Nebraska / Midwest News, NewsBlog and tagged Frank Jossi, Midwest Energy News, Nebraskans for Solar, net-zero energy, Rochester Mayor Ardell Brede on January 25, 2016 by Helen Deffenbacher. 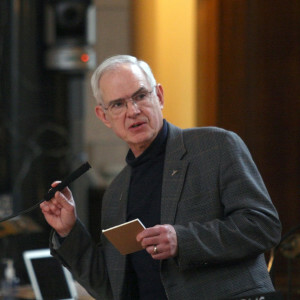 With time running out on his days as a state senator, Ken Haar of Malcolm has presented the 2016 Legislature with a clean energy agenda and is preparing to rally young Nebraskans to protect their future. The public is invited: Reverend Lennox Yearwood of the Hip Hop Caucus will deliver the Keynote Address for the Nebraska Youth Summit on Climate this Wednesday, January 27th at 7 p.m. in UNL’s Nebraska Union, 14th & R. Click here for more information. This entry was posted in Nebraska / Midwest News, NewsBlog and tagged climate change, Don Walton, Lincoln Journal Star, renewable energy legislation in Nebraska, Reverend Lennox Yearwood, Senator Ken Haar, Youth Summit on Climate on January 23, 2016 by Helen Deffenbacher. BENNETT, Iowa (KCRG-TV9) – A school district is taking Iowa’s problem of low educational funding or Supplemental State Aid into its own hands. The small Pre-K through sixth grade district is found all in one building in Cedar County . . . 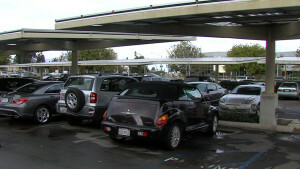 The school district is already gearing up for a second phase of the solar panel project. The plan is to put more solar panels on ground near the playground in the spring. “We are going to keep going until we are 100 percent reliant on our solar production,” said Bennett Community School Superintendent Dave Larson. 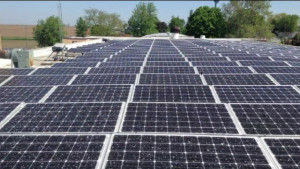 [Funding for the solar projects is coming from the school district’s building and capital project funds and a general fund’s unspent balance, as the district doesn’t “build a lot here,” according to Superintendent Larson]. Click here to read or listen to the entire story. This entry was posted in Nebraska / Midwest News, NewsBlog, Solar Schools and tagged Jill Kasparie - KCRG-TV 9, Nebraskans for Solar, schools saving money by installing solar, solar-powered schools in Iowa on January 23, 2016 by Helen Deffenbacher.